This is quite possibly one of my favourite, go-to family meals. I love that it all comes together in one pot in 15-20 minutes (or less!). 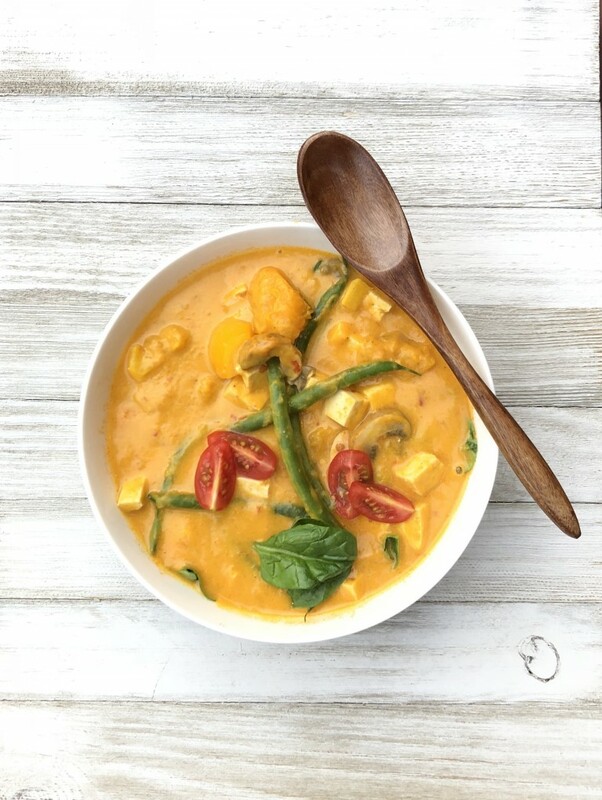 After my trip to Thailand I couldn’t go back to using “light” coconut milk for curries. In fact, when you purchase light coconut milk, you’re really just paying for extra water. Using full fat coconut milk + adding an equal can of water has a similar effect. I’ve found the magic combination to keeping the calories reasonable and maintaining a super sweet and savoury creamy texture. The answer? 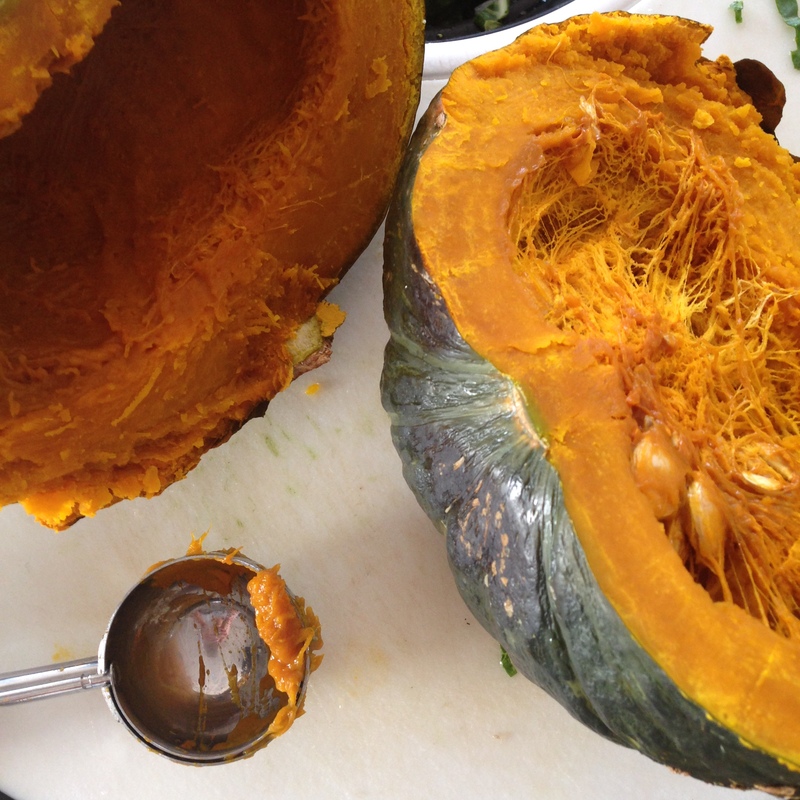 KABOCHA SQUASH – a.k.a my favourite vegetable! This one pot meal comes together easily and brings a little sweet, savoury and spicy altogether in perfect combination. 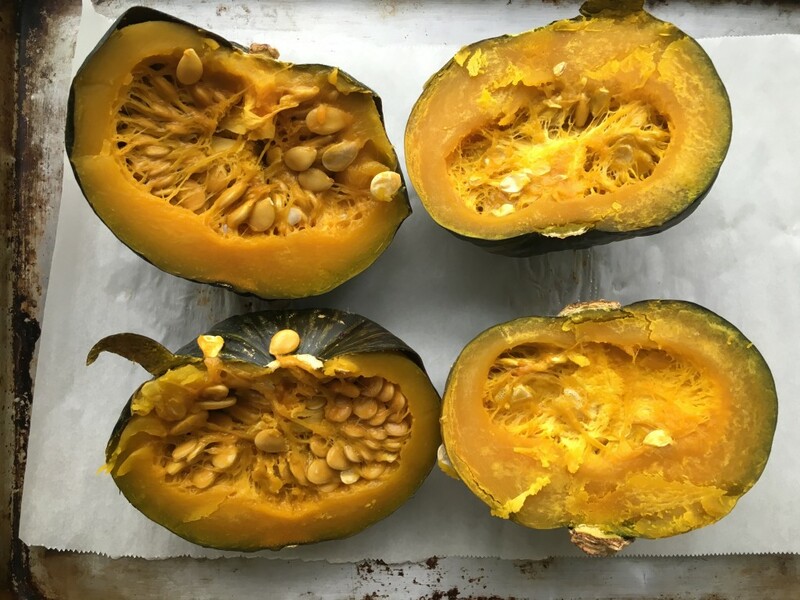 Ideally, cook your kabocha squash ahead of time. Heat oven to 350 F and line a baking sheet with parchment paper or foil. 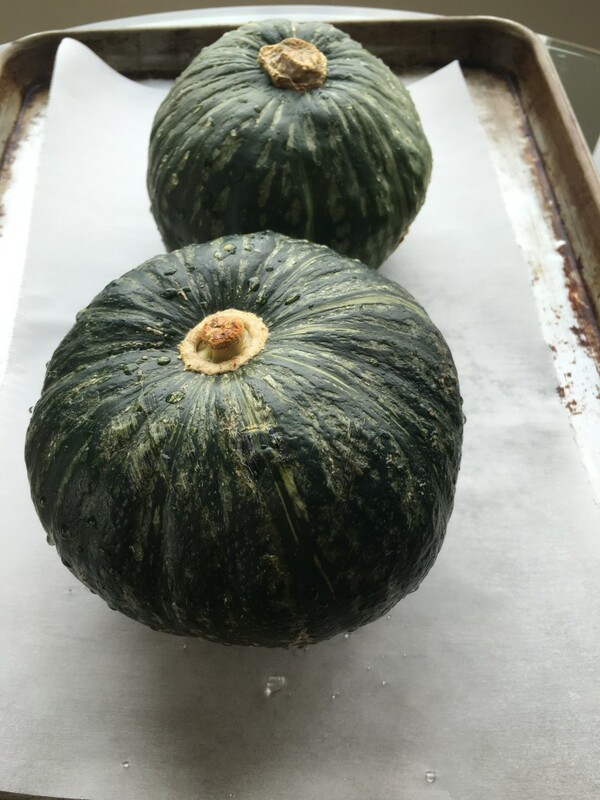 Place the entire squash (with a few holes poked in) on the baking sheet and cook for 30-45 minutes (more time for a larger squash). 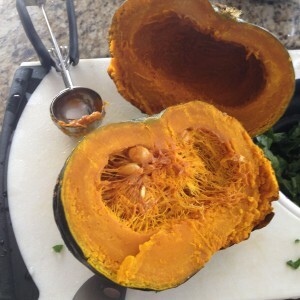 Once the squash is soft, slice it open, take the seeds out and scoop out the flesh. The skin is edible, but it will change the colour of the curry making it more green. Meanwhile, heat the coconut milk, equal can of water and curry paste in a large pot. Add the kabocha squash and bring to a low boil. Cook for at least 5 minutes. Add the tofu (or alternative protein), peppers, mushrooms and any other hearty vegetables you would like to add. Add the optional soy sauce and/or coconut sugar if you wish. 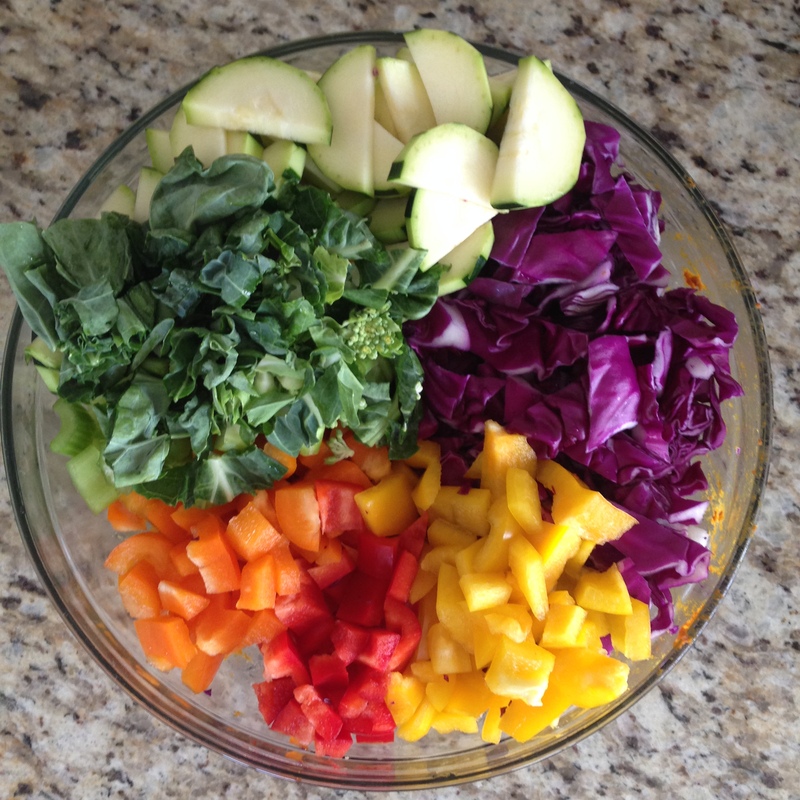 I recommend adding the greens last to avoid over-cooking them. 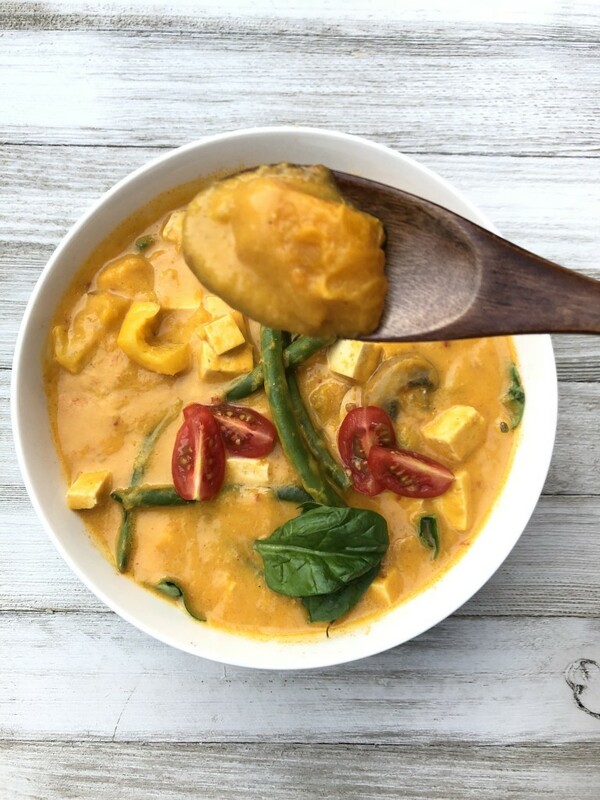 The longer the curry sits, the more the kabocha will sweeten up and the thicker and creamier the sauce will become. This curry reheats very well and makes for excellent leftovers. It goes faster than you think, so consider doubling the recipe to make extra! Simply place the kabocha in the oven at 350 for about 45-60 minutes. Once baked, slice through to find a soft, sweet and delicious flesh that mimics that taste of a potato-yam cross-breed. This recipe is super versatile as you can add any fresh vegetables that you like. I typically add peppers, zucchini, eggplant or red cabbage, carrots and finish off with some Asian greens such as gai lan or bok-choy. I leave these until the very end so they don’t wilt while the kabocha is simmering in with the veggies and coconut curry mixture. 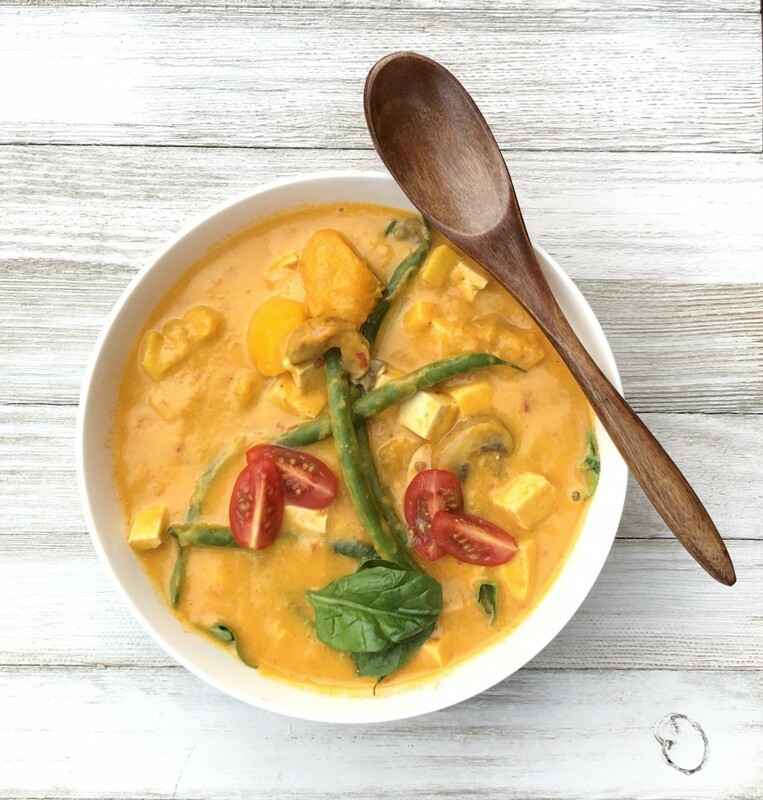 Serve the curry over brown rice, quinoa or keep the carbs low by serving it over spinach or mixed greens.